Teen Science Café leads to success in robotics. We are a group of Teen Leaders from the small town of Española, New Mexico. We met through the Española site of Café Scientifique New Mexico, “a free, fun way for teens to explore the latest ideas in science and technology, through stimulating conversations with scientists, engineers, and inventors.” Our Café is held once a month at Northern New Mexico College (NNMC). We had a great Café on robotics by Dr. Steve Anton, which got us interested in robotics. 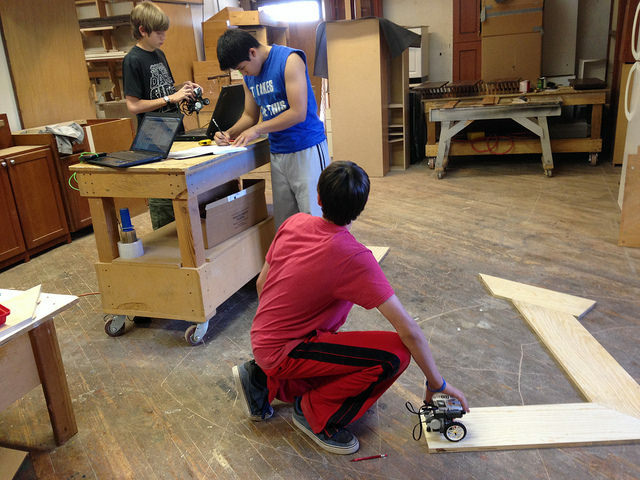 Building and testing our robot in our workshop. We went to a RoboRave play shop in Albuquerque where we were able to learn what the competition was about as well as build a robot. Ian Cainglet and Carlos Vigil gave us a walk through of the building, programming, and the overall competition. Finally, we attended an event at NNMC where we were able to get hands-on experience with the robot we built for the competition. We then decided that we wanted to compete in the AMAZING Challenge. This is a course that consists of a maze that you program your robot to complete by using a mix of basic math and engineering skills. We had a tough time making it to the end of the maze, but finally did with a lot of teamwork. Learning how to program the robot. 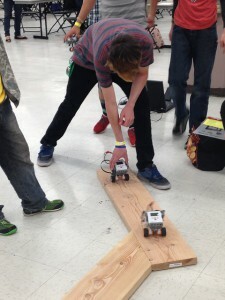 The RoboRAVE competition was held at the Kiva Auditorium in Albuquerque. We were able to compete with hundreds of teams from the USA as well as many international teams. Many countries were represented, including China, Colombia, Brazil, Mexico, and Spain. Testing the robot before the competition. We arrived on May 2, 2014, and had a day of practice on the A-MAZE-ING course. On the second day we had our chance to demonstrate what our robot could do, and our two teams placed 1st and 2nd in the competition! 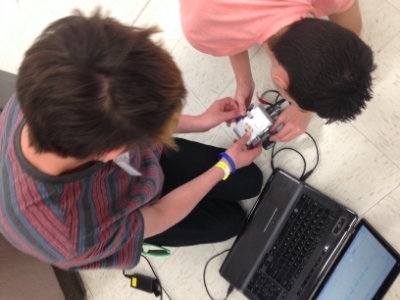 We had to go through a lot of trial and error at the event with our robot, computer program, and the scoring. All of us had to work together to accomplish this, but we had a lot of fun working together, while getting to know each other. We earned prize money and certificates for our hard work. We are really hoping that we will have the opportunity to continue to move forward and enter next year’s RoboRAVE competition. 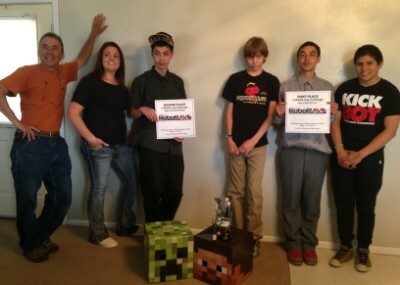 We are hoping to get more teens from the Rio Grande Valley interested in the Café program and with RoboRAVE.